From the time you come to the studio for your pre-shoot consult, where we sit down and plan your outfits, locations and image styles, to the time we hand you your images, we believe your Moz experience should be simple and amazing. 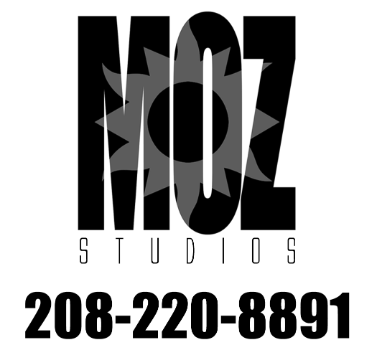 What separates MOZ from other studios is our ability to shoot any type of images you can throw at us. If you want soft natural light, story telling editorial, couture fashion, edgy dramatic, traditional studio or a little of each, we got you covered. Your Moz Studios senior session is designed to be simple and amazing. Before we ever book a session we have a pre-session consult to make sure we can provide the photography experience and images you deserve! We prefer to have the consult at the studio, but we will do them over the phone when scheduling or distance does not allow. The consult lasts about 20 minutes. We discuss location options, clothes choices, makeup, hair and any other choices critical to your session. Then we go over all the different product options we have for you. We paper, metal, and canvas prints, as well as albums, books, cards, announcements and digital files. We finish up the consult with you picking the date of your shoot. The fee for your session is due at booking. Your paid session holds your date and time. How much does it cost to get my seniors pictures taken? There is only one set cost involved with your senior session and that’s the sitting fee. The sitting fee is $150 and covers the cost of the shooting time. Your paid session fee is how you book your session and hold your time. The rest of what you spend on your images and products is completely up to you. Most of our clients spend between $500 to $1000 on their images, products and announcements. When is the best time of year to take your senior images? In two words… BE YOU! Your senior images are really just a snapshot of who you are today as a person. So, be the person you are. I tell my clients do not go buy a bunch of clothes you would never wear in a million years if you were not taking your senior pictures. Wear the colors, the styles and the brands you wear everyday. Wear your favorite jeans, or jacket or hat or team jersey. No matter what you wear just make sure your clothes are clean and pressed because you will see stains and wrinkles in your images. Should I bring other stuff than just my clothes for my shoot? We are here to celebrate every part of who you are and all the things that make you YOU! If you are a hunter bring your bow or rifle. If you are a musician bring your instrument. If you have a car you love bring it. If you love comic books bring them. Bring me the things that make you who you are and I’ll do the rest. What if I want more than one season for my shoot? We know some kids have multi interests. You may have a senior who plays a fall and spring sport who wants images from each season. For those kids we offer multi season sessions. Each additional shoot is $75 per extra shooting session. Do you have locations to shoot the session or do we find the locations? If you have a specific locations you would like us to shoot your images we can do that for sure. But if you do not have locations I find the perfect places to take your images. How many changes of clothes do I get at my session? Our sessions are based on time and not on outfit changes. Our shooting style is very run and gun. We get to a location and – boom, boom, boom – jump in the car, off to another location. We don’t stay in one place long because we want you to have wide variety of images to choose from at your view session. We encourage our clients to bring up to five changes of clothes. Do seniors ever bring pets to their sessions? YES!!!! Our seniors have brought horses, dogs, cats, rabbits and even a mini donkey! After the shoot we schedule a time for you and your senior to come to the studio and do an in-person view session. At the view session we go through all the images and you will pick what you would like to purchase. The images will NOT be edited. Images are edited after you make your order. We have a wide range of options for you! We offer full rights digital files, our signature line of paper prints, metal prints, acrylic prints as well as canvas. We also have books, albums and graduation announcements. My senior is a girl. Do I need to have her hair and makeup professionally done? NO Glittery Makeup. Glittery makeup looks great in real life but looks like little white specks in photos. I caution about going too crazy with the hair and makeup. Your shoot is to show who your are, not how great your makeup and hair are. Clumpy mascara in close up photos looks exactly like clumpy mascara. Tan lines should be hidden by clothing if they are very noticeable. We do not fix tan lines. Getting too much sun before your shoot is not the best idea. If you would like photos with your hair pulled up/back, plan on starting your look off with the up-do. It's much easier to take the hair down for some fashion forward type looks than it is to spend time putting it up during our limited session time. Also, for sure bring hair spray as Idaho is windy all the time. THIS IS MEGA IMPORTANT!!! Your finger and toe nails will show in the shots. If your nails are a crazy colors or chipped with old nail polish they will be that way in your photos. Nails we always recommend a darker nail if you are going to paint them or just go plain or a french. If you do come with haggard nails we can fix them in the editing, but at a VERY LARGE extra charge! My senior is a guy. Do you have any grooming tips for him? Be clean shaven or well groomed and have your hair in order. Do not wear a hat before your shoot. And make sure your clothes are pressed. I tell all the guys, "your mom will love your pictures far better if you are looking your best". Guys are far less detailed than the girls. You would not think it but the little details make all the difference in your images. Make sure you bring a belt, socks and good shoes. You would surprised how dirty shoes, no belt and the wrong color of socks ruin great images.